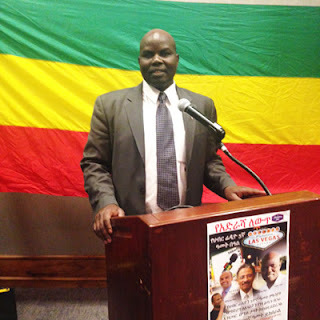 To me, bringing down the ethnic apartheid regime of the TPLF/EPRDF is not something I am worrying about. It will eventually happen for the regime is like someone standing on a table with four weak legs; however, if that table collapses when we the people of Ethiopia from every ethnic and religious groups are not talking to one another and working together or cooperating with each other, we will not be ready to find a lasting peace and freedom for all. Finding a lasting peace and democratic Ethiopia is something that depends on everybody within the boundaries of Ethiopia; requiring us to reach out and work with diverse groups beyond our own ethnic group. This is why I am saying we should be fighting for a country, not for a village, a ethnic group or a region, like the TPLF is doing. The TPLF was created to liberate a region and a ethnic group, but if we want to create a lasting peace where none of us will be free until we all are free, then we the people of Ethiopia have to fight for a united Ethiopia and for humanity. May God change our hearts and make us to be people who care about our fellow Ethiopian from every ethnic and religious groups and fellow human beings and obeying a life-giving principles. May God help us Ethiopians to not be selfish in being opportunists or in fighting for only our own tribes or ethnics, villages and regions, but instead may God help us to stand up for the justice and protection of all his precious people of Ethiopia, the Horn of Africa and all of human kind.